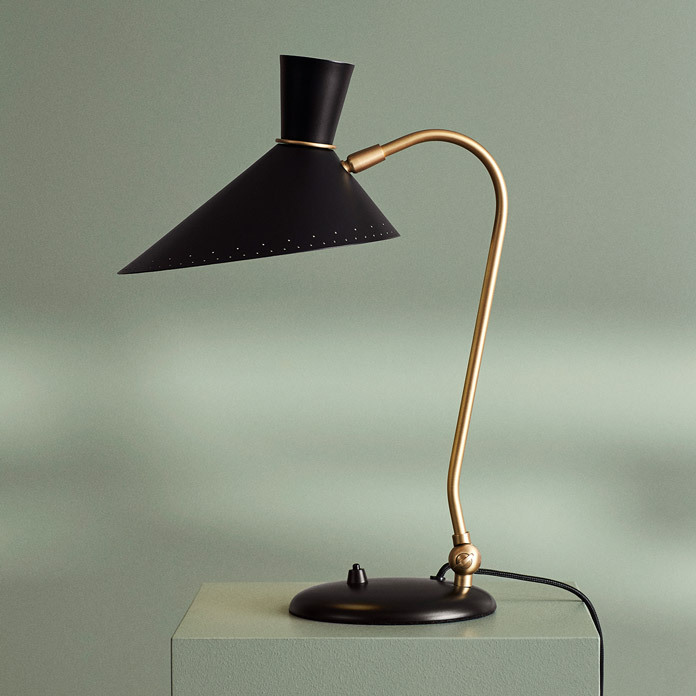 A little table lamp with great personality, designed in the 1950s by the grand master of Danish lighting design, Svend Aage Holm-Sørensen, who is internationally acclaimed. The Bloom table lamp is one of the designer’s most iconic lamps and familiar in the vintage community. The combination of playfulness and sharp lines makes the table lamp a beautiful item on a desktop or window ledge. 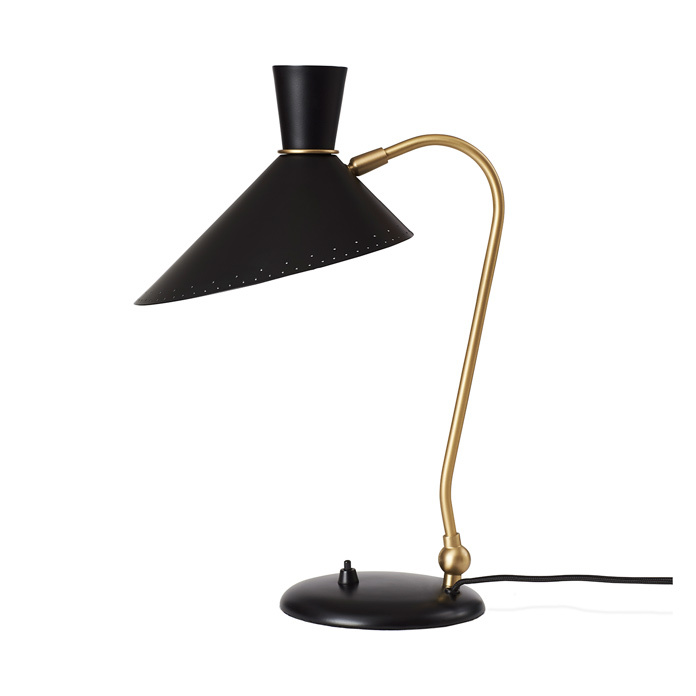 A nice touch is Holm-Sørensen’s signature: the characteristic holes in a simple pattern along the edge of the metal shade, which add an extra dimension to the lighting effect. Choose from several beautiful colours in Warm Nordic’s exclusive silky matt quality paint, which guarantees an extraordinarily beautiful and durable surface. The table lamp is part of the Bloom range, which also features a pendant and a wall light by Svend Aage Holm-Sørensen. The iconic Bloom table lamp was originally designed in the 1950s, which was a major pioneering era for lighting design. The Bloom lamp is characterised by its affectionate reference to the blooms of nature and an asymmetrical idiom, which was also a feature of foreign lighting design at the time. As such, the design is Svend Aage Holm-Sørensen’s Nordic interpretation of an international trend, in which designers all over the world invested huge energy and passion in the art of lighting. The Bloom table lamp has been specially selected for the Warm Nordic range as a tribute to iconic Nordic design that invests modern décor with invaluable diversity.